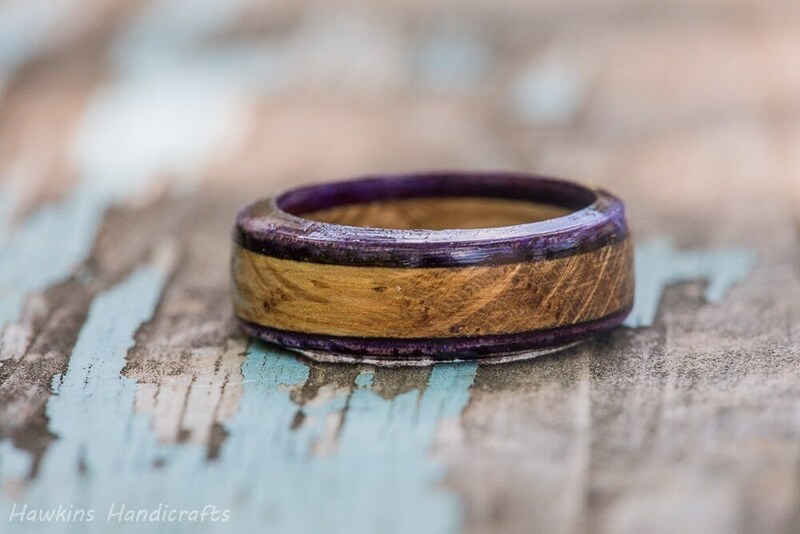 This is a hand-turned oak and purple-stained wood ring cut from used Jack Daniels whiskey barrels combined with purple stained birch wood, custom made to your specifications - choose the size, width, and shape from the options to create your own handmade ring! 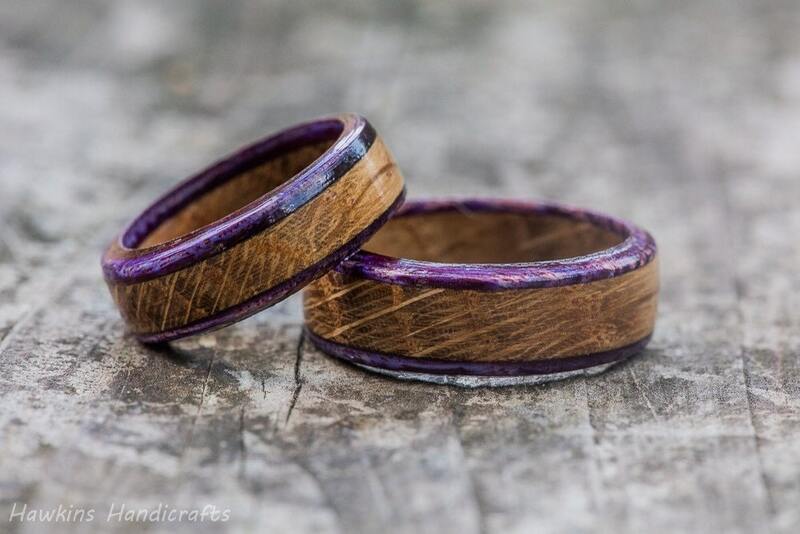 Your ring will have a similar look to those in the pictures but each ring is a unique piece of wood with it's own unique patterning with no two exactly alike! 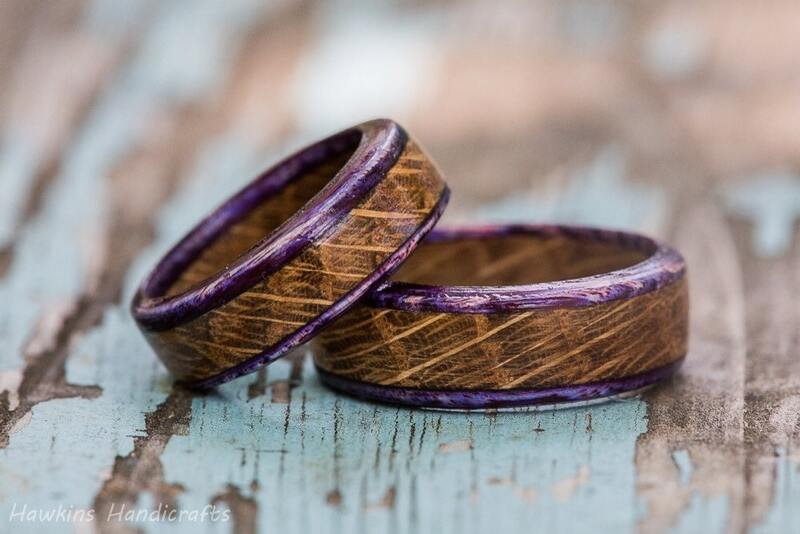 Please note the variability in coloring in the photos, your ring may be lighter or darker than the first image. Absolutely amazing! 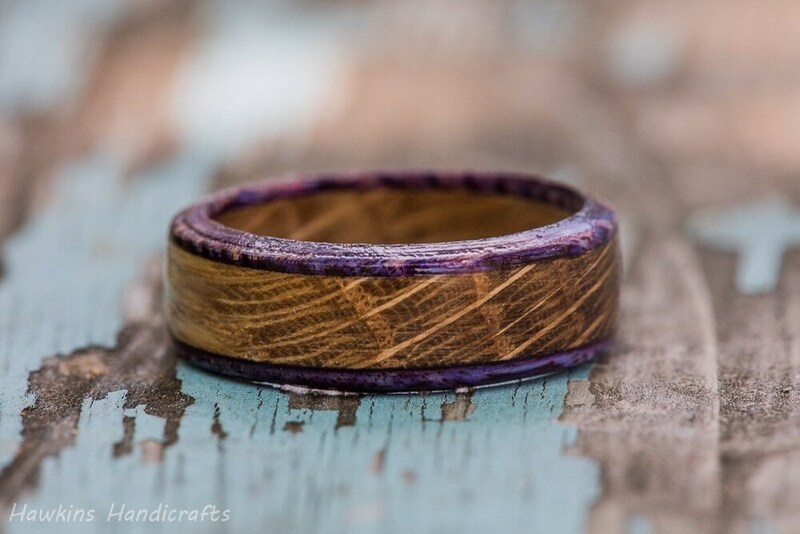 Beautiful craftsmanship, and the one of the best shops I have ever done business with. They helped us pick out the right width and everything. We ordered one and it wasn't what we wanted (no fault on the shop) and we were able to communicate and get one that was even better! My fiancé LOVES it! I can't thank the shop enough for being so awesome.